Young adult. Another very long specimen with remarkable pattern symmetry. The speckling is of the "grid" type layout seen on many Chaos specimens. 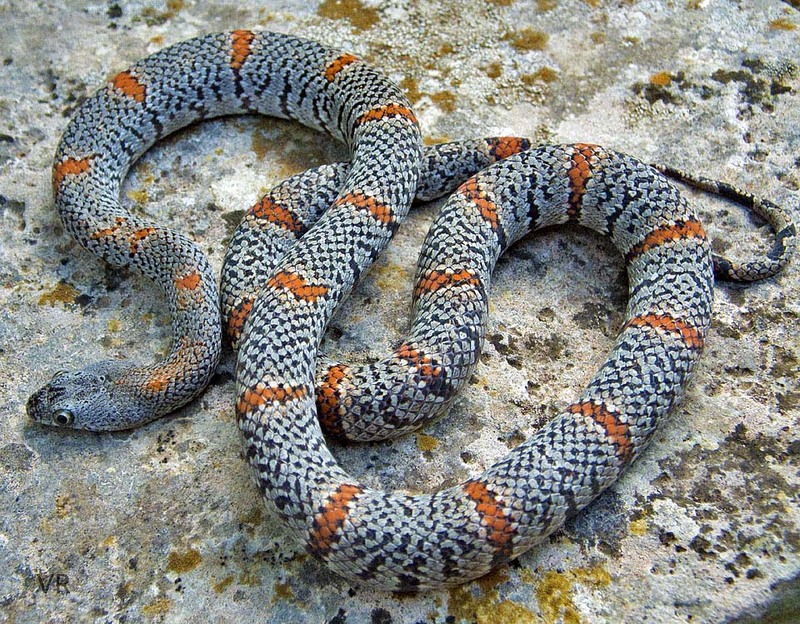 The grid type speckling was most commonly seen on alterna from the Lajitas area when captive breeding of the locality was in its heyday. The trait would emerge from time to time on Big Hill specimens but not at the frequency it does with the Chaos snakes. This snake has quite a visual impact when viewed stretched out full length.